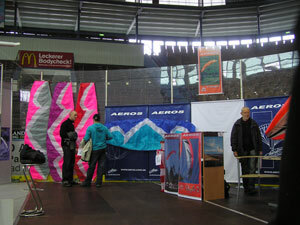 Free Flight Exhibition took place in Garmisch-Partenkirchen, south Germany on14-16 March. 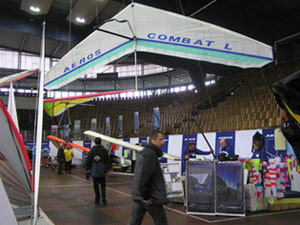 Aeros company booked the biggest 95 sqm stand place and presented the wide range of latest innovative hanggliders and paragliders. 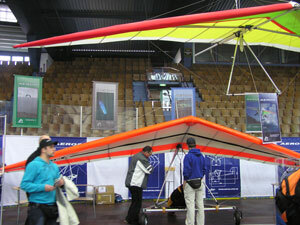 There were shown new modified hang gliding harnesses and other flying accessories. 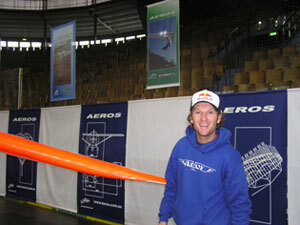 The visitors consulted with Oleg Bondarchuk, Alexander Voronin, Peter Vaskovich, Primoz Gricar, Tomas Pellicci, Joseph Salvenmoser and Markus Eggimann.